Certain boot styles are so beloved by on-trend celebs that the boots themselves become their own special brand of celebrity. 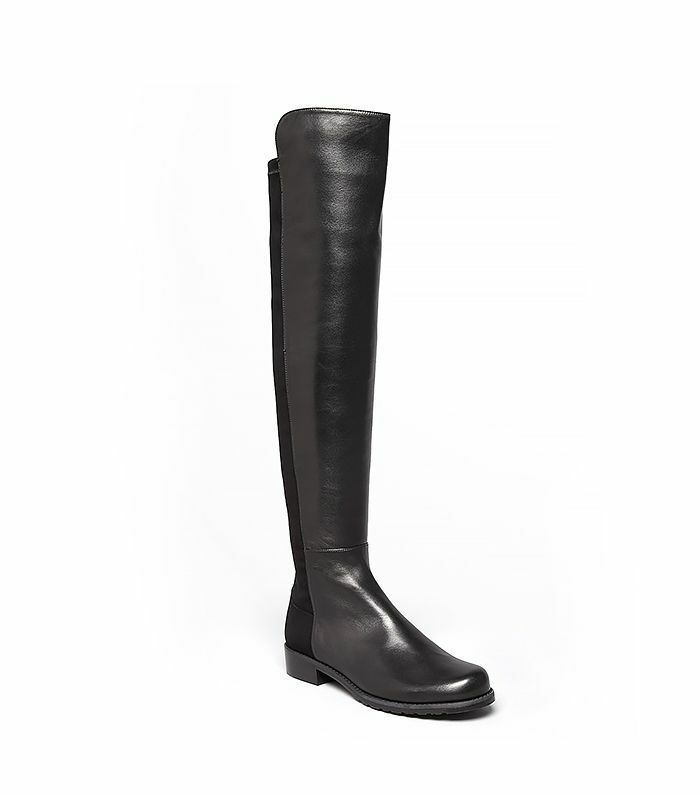 The Stuart Weitzman 5050, among other cult faves, deserve its own fan page or heck, even its own Twitter account. The point is that some shoes are so versatile and well-made that even It-girls who have access to all kinds of designer footwear return to the same boots again and again, season after season. Not sure what we’re talking about? Click through to familiarize yourself with the boots that practically every celeb/model/It-girl owns, then get to shopping, because these shoes will still be in-demand for years to come. These iconic two-tonal stretch suede boots singlehandedly spawned an obsession with the over-the-knee style that has yet to meet any competition. You can almost bet that if a celebrity is wearing a flat, OTK boot, it’s the good old 5050. Fun fact: Olivia Palermo owns them in nearly every color, including brown, navy, olive green, and black. Plus, Kate the Great starred as the face (and body) of the boots’ very own ad campaign, and you know when Moss is involved, it’s a timeless choice. These stacked-heel, suede ankle boots are as coveted by polished city girls as they are by boho babes. Practically every trendsetter, including Kate Bosworth, Alessandra Ambrosio, Rosie Huntington-Whitely, and Miranda Kerr, owns this workhorse, which looks as stylish at Coachella as on a weekend errand run. With their almond toe, gold studded design, and triple buckle straps, these edgy Chloe ankle boots are the jet-set’s go-to shoe. Originally released in a red, western-inspired version that celebrities like Sienna Miller and Nicole Richie adored, the black color is a bit more wearable and favored by the supermodel crowd like Lily Aldridge, Kendall Jenner, and Miranda Kerr. This classic suede boot, which comes in gray, brown, and black, as well as a textured canvas and glossy black leather version, is the ideal everyday boot. Celebs like Cameron Diaz, Rosie Huntington-Whitely, Heidi Klum, and Taylor Swift are often spotted wearing the comfortable Newbury style, which features a sleek, uncomplicated silhouette and chunky, stacked heel. Which cult boot is your favorite?